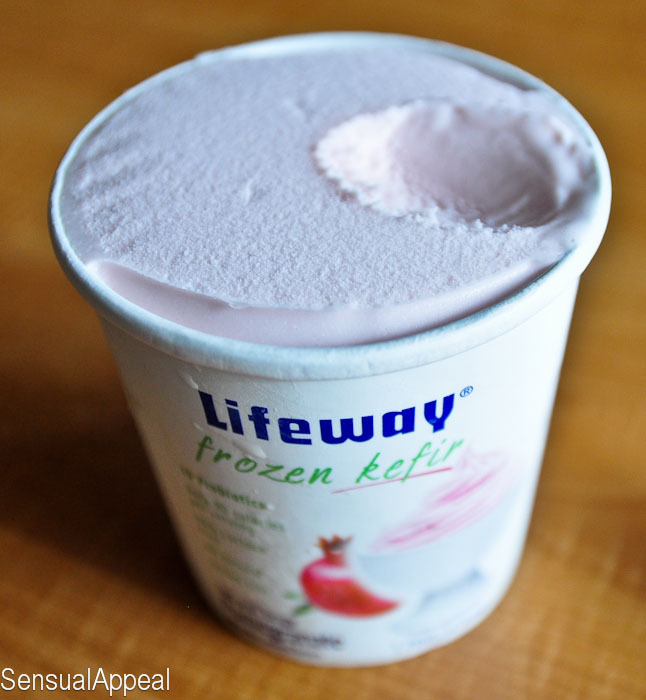 I got the strawberry and pomegranate frozen kefir pints. They did not disappoint. Not even close. Wonderfully tart flavors with some sweetness of the fruit. Mmmm. Delicious. 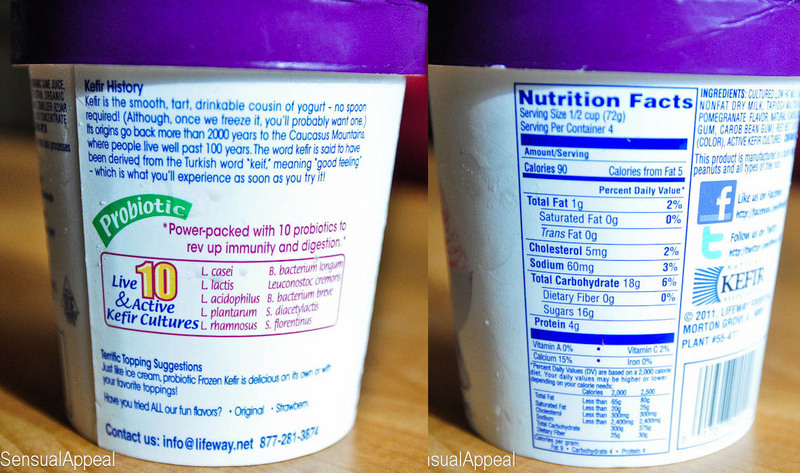 And if you’re still not convinced, just take a look at the nutritional stats. 90 calories per 1/2 cup? Say whaaaaat! 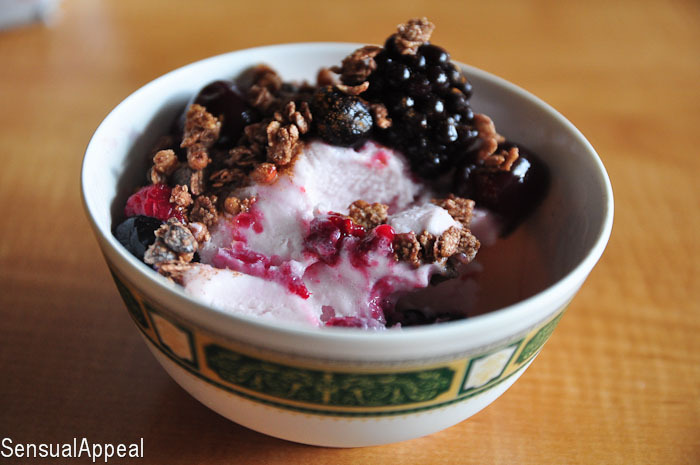 I topped it with some Enjoy Life Chocolate Granola and the Very Cherry Mix from TJ’s. Cinnamon is also a must. I add it to everything sweet, pretty much. I have a few obsessions and cinnamon is another one of those – but on that another day. 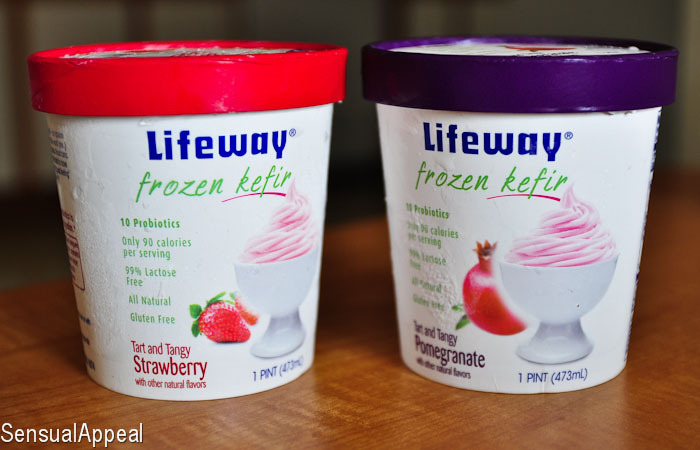 What’s your favorite yogurt or kefir flavor?